As we go about our daily lives, we experience many different emotions. Some good, such as excitement, happiness, love, serenity and hope. And some not so good, like sadness, grief, irritation, stress and anger. It’s normal for us to have these feelings, even the negative ones. As they are important for our survival and help us to deal with difficult situations. However, sometimes we can find ourselves becoming overwhelmed by these emotions and that’s when they become a problem. Chronic stress, anxiety, tension and depression can all eventually lead to bad health. So it makes sense to nip them in bud as soon as possible. Aromatherapy is a great way to do this. It’s not only relatively safe but it’s a very pleasant way to deal with unpleasant situations. Essential oils are highly concentrated plant chemicals. And just a few drops of the oils can have powerful mood altering effects. When we inhale the scent of essential oils, the aroma is carried directly to the brain. In particular, to an area known as the Limbic system. The part of our brain which effects emotions. This results in the release of various neurochemicals and hormones. 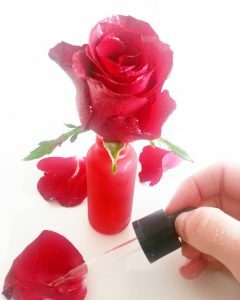 Rose absolute is extracted from rose petals and has a floral aroma, that is both soothing and calming for the nerves. It has an uplifting quality which makes it great for depression and grief. In fact, one particular study found it be particularly useful in the management of postnatal depression. 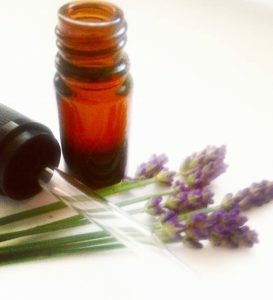 Also extracted from flowers, the floral aroma of lavender oil invokes a sense of calmness and relaxation. It is mostly used for sleep issues and mental restlessness. And can be particulary good for anxiety and general tension. Frankincense oil is extracted from the resin of the Frankincense tree. It has strong spiritual connections, having been used in religious ceremonies worldwide. And it’s reputed to aid meditation, focus the mind and invoke a feeling of peace and calmness. Also great for anxiety and stress. Bergamot essential oil is extracted from the bergamot orange. So it has a sweet smelling citrusy aroma. It has been found to exert a relaxing effect on the central nervous system, making it useful for stress, anxiety and depression. It is also uplifting and energizing. 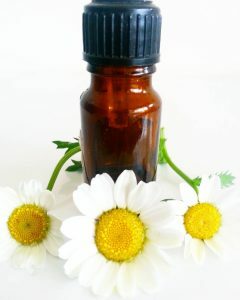 Geranium essential oil, is extracted from the stems and leaves of the plant. It has a pleasantly uplifting aroma and is said to brighten the mood, lift depression and reduce stress. A recent study also concluded, that it may be beneficial for neurodegenerative diseases such as dementia and alzheimers. Chamomile has a calming, mild sedative effect on the mind and is ideal for feeling of panic, anxiety and stress. It is a general relaxant and particularly useful for stress conditions related to the gut. Cedarwood also has sedative properties, so it can be helpful for sleep issues. It calms and soothes the mind and is great for generalised anxiety and stress. It is also claimed that it can calm anger and irritation. Jasmine invokes a feeling of happiness, which can lift the mood and help depression. It boosts serotonin, the happy hormone and can help you to relax and prepare for a good nights sleep. Ylang Ylang also has a pleasant, floral aroma, which is both soothing and slightly sedating. It helps with depression and sadness by lifting the mood and can also lower stress levels. Like many of the citrus oils, Sweet Orange has an uplifting, cheering quality. It can evoke happy feelings, so it’s great for both anger and depression and for whenever you need to give your mood a boost. So the next time you find yourself overwelmed by negative emotions. Consider reaching for one of the above essential oils, to restore calm to your day. Conrad P, et al. The effects of clinical aromatherapy for anxiety and depression in the high-risk postpartum woman – a pilot study. Complement Ther Clin Pract. 2012 Aug;18(3):164-8.